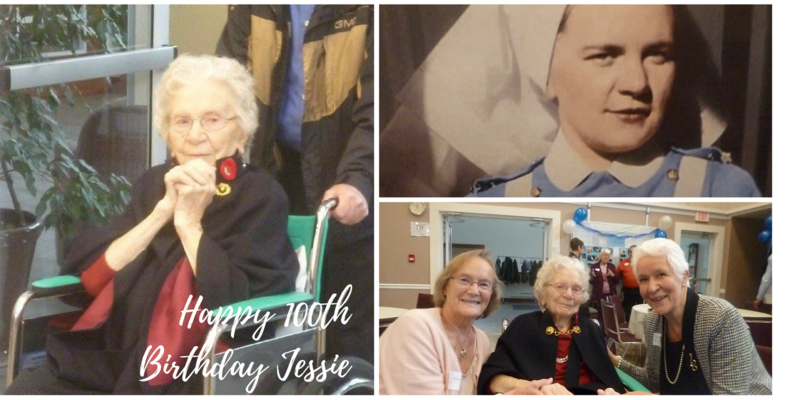 Nan Martin and Kathy Murphy were pleased to join with the family and friends of BCHNS member Jessie Middleton who celebrated her 100th birthday on November 12/2016. Jessie arrived in her Royal Columbia cape and was delighted to see all who gathered to wish her well, including the Mayor of Abbotsford. She received greetings from many elected and appointed leaders and was surrounded by beautiful displays of her past.